I have been getting my premium gasoline from the same station. It looks like approximately 2 weeks ago the gas formula changed. The cold season formula is gone. The warm season formula is here for us to use. 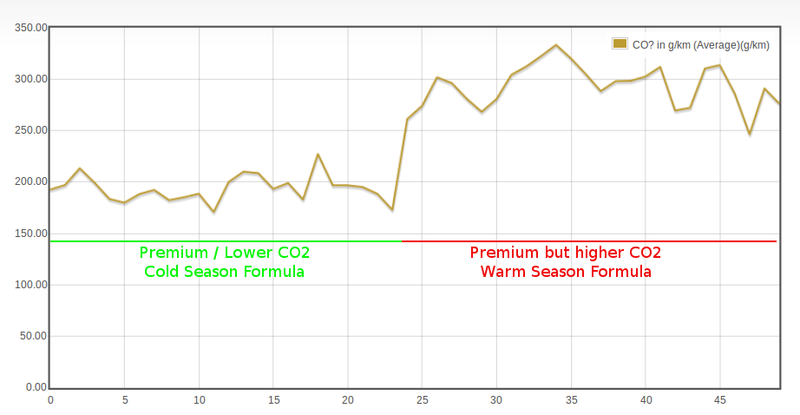 The observable difference is the CO2 footprint (g/km) increased compared to the cold season gas formula.